Riding the world’s largest rotating tram is quite an experience. I couldn’t help but admire the snowy rocky cliffs of the Chino Canyon as we ascend to 8516 feet and how the Palm Springs Tram was able to transport towers into those cliffs to support cables of the tram. It’s quite an engineering feat! 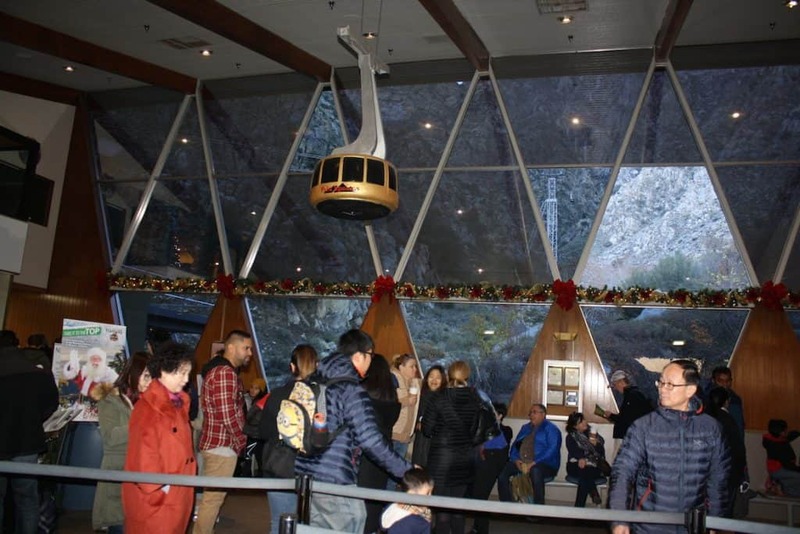 If you’re looking for fun things to do in Southern California this Holiday, I would suggest visiting the Palm Springs Aerial Tramway. 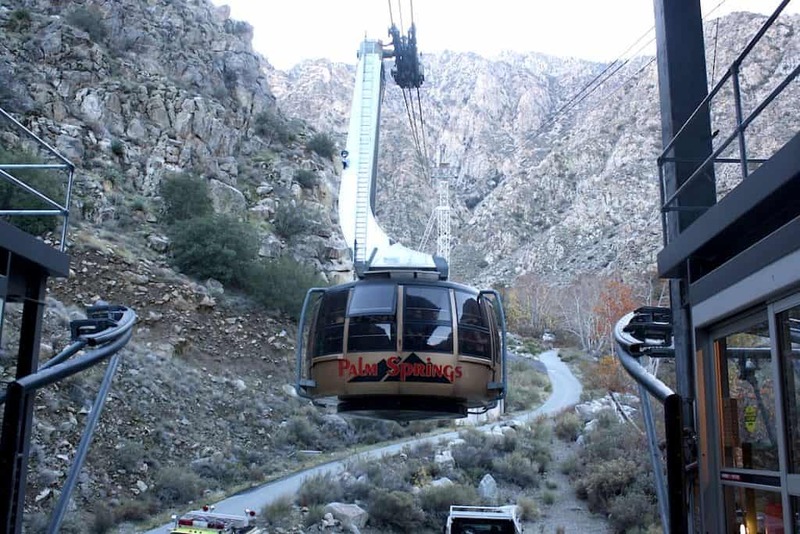 The Palm Springs Tram travels over two-and-one-half miles along cliffs of the Chino Canyon, transporting riders to the wilderness of the Mt. San Jacinto State Park. 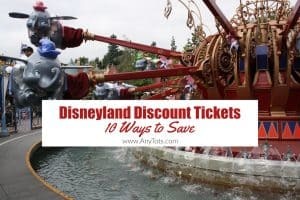 During the approximately ten-minute journey, tram cars rotate slowly, offering spectacular vistas of the valley floor below and cliffs up above. 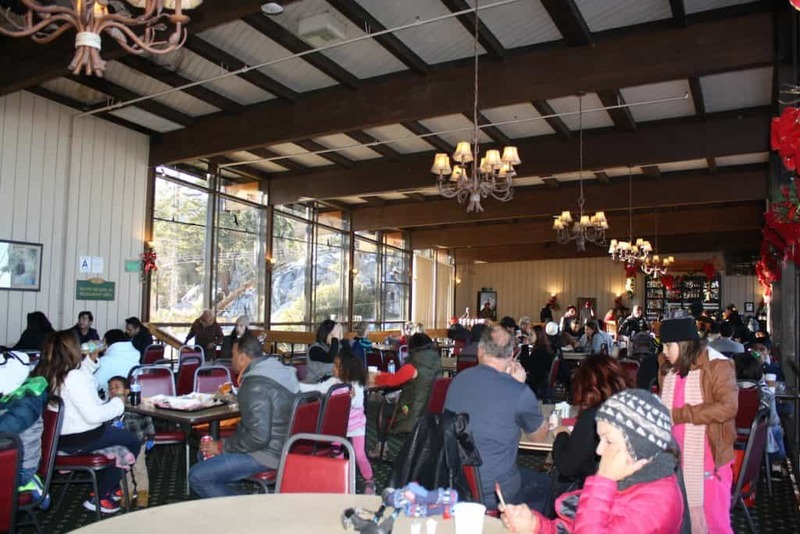 Once you reach the Mountain Station, you can enjoy two restaurants, observation decks, natural history museum, two documentary theaters, gift shop and over 50 miles of hiking trails. 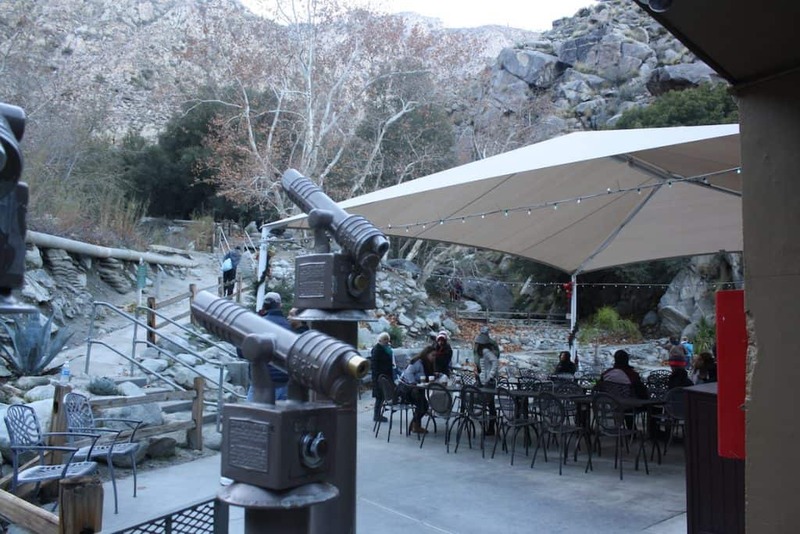 Palm Springs Tramway opened in 1963 but the rotating tramcars only began in September 2000 after going through modernization programs. 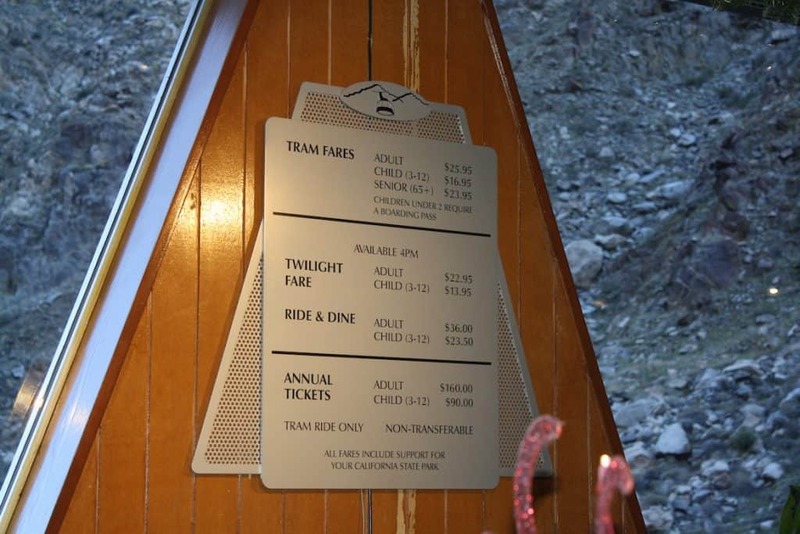 The original tram cars are now on static display at the grounds of Palm Springs Aerial Tramway. When you purchase tickets on-site, you will be issued tickets to the next available set time. 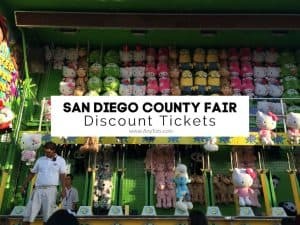 If there’s already a bigger crowd ahead of you when you arrive, you risk not riding soon enough or you risk not even getting any tickets. 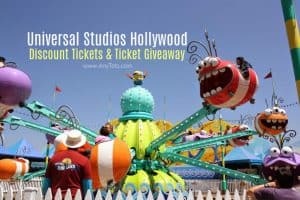 I would suggest getting your tickets in advance as during one of our visits, we weren’t able to ride and there were like 15 of us. 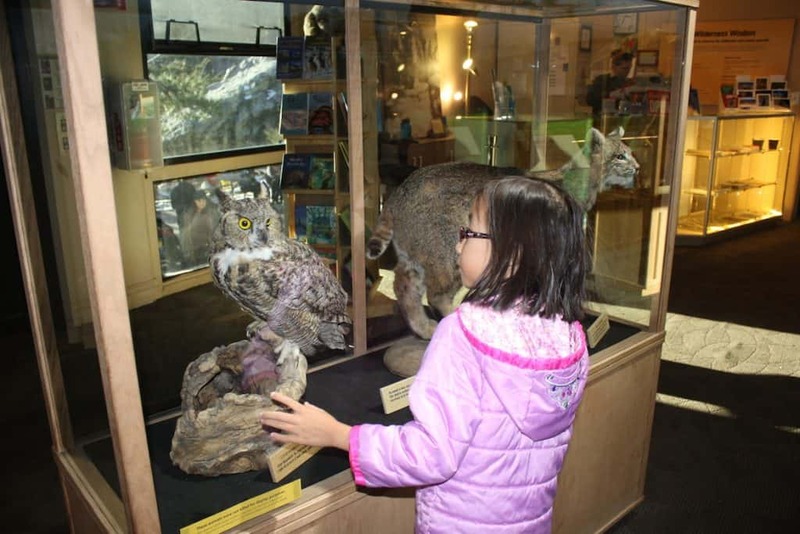 We ended up at the Living Desert Zoo, which is also great but the kids were all excited for the snow. 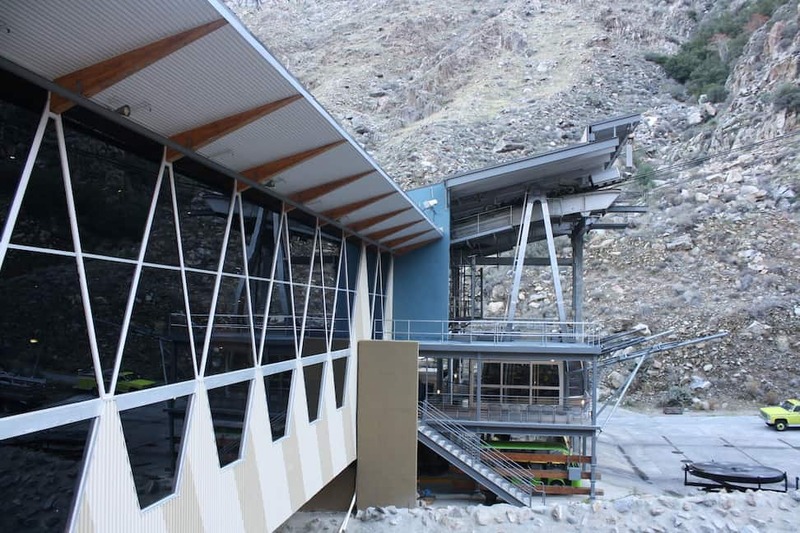 Palm Springs Tram Annual Pass, Summer Pass & Ride and Dine Tickets are also available. Check HERE. 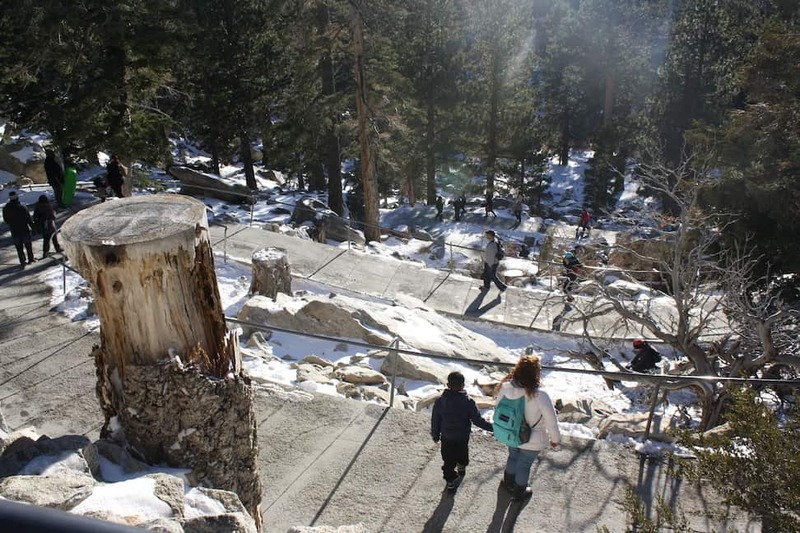 Winter for me is the best time to go because the snow is just beautiful against the rocky cliffs and the pine trees and the kids can play in the snow. Biggest Tip when going to Palm Springs Tram is to bundle up. We didn’t prepare during our 1st visit and got really cold. It’s already cold at the Valley Station (parking area, ticketing, riding the tram area) below and all the more at the snowy Mountain Station above. Also be careful when walking at the terrace just outside the cafeteria, it’s icy and slippery. The weather at the Mountain Station is typically 30-40 degrees cooler than on the desert floor. 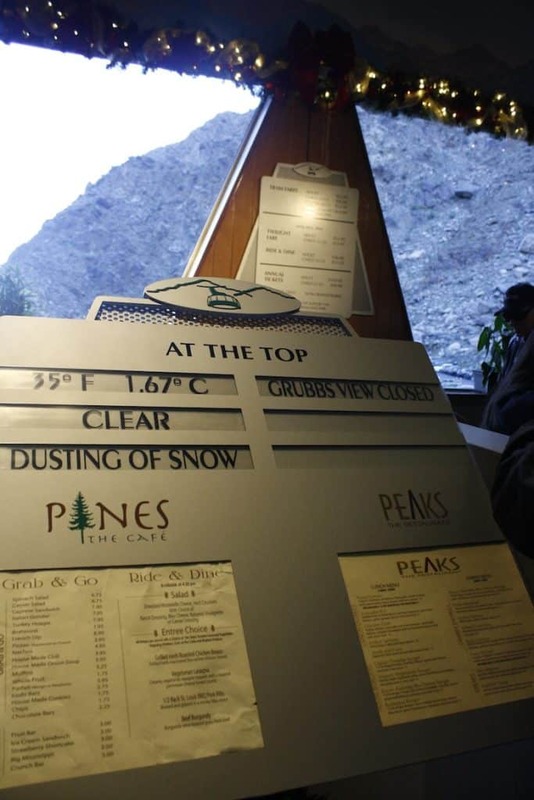 To make sure you get to enjoy snow when visiting the Palm Springs Tram, be sure to check the weather beforehand. Ascending to 8516 feet can really put pressure in your ear. It’s especially uncomfortable for kids. The trick is to bring a gum and chew it as the tram climbs to the Mountain Station. Get this non-mint gum for them. 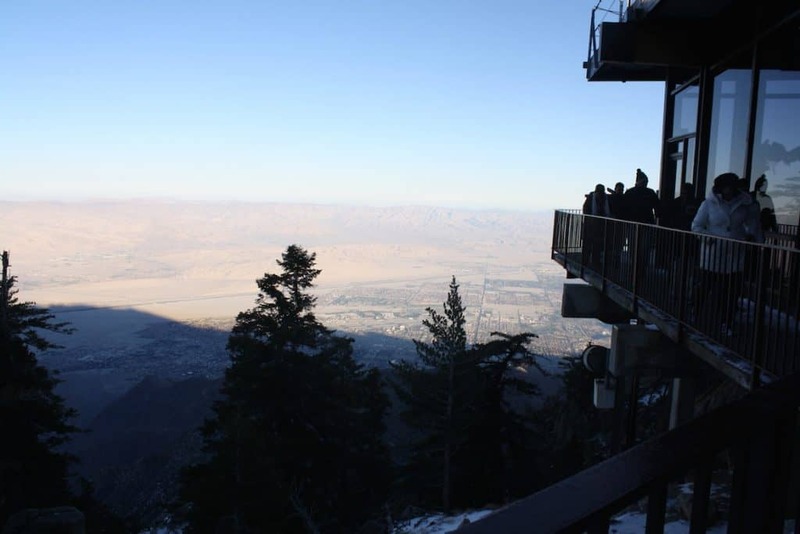 There are tons of parking at Palm Springs Aerial Tramway but the closest parking lot to the Valley Station where you will be riding the tram is parking “A”. If you wish to avoid walking the steep path or waiting for a shuttle to bring you to the Valley Station, park at parking lot A. 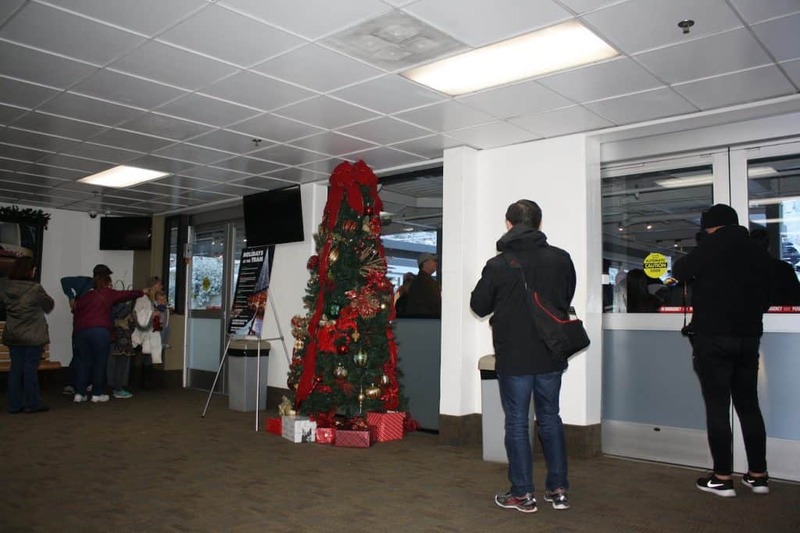 But just in case it’s really packed and you were instructed to park elsewhere, don’t worry as you will be shuttled in. TIP #5: FREE PARKING FOR COACHELLA VALLEY RESIDENTS: BRING I.D. 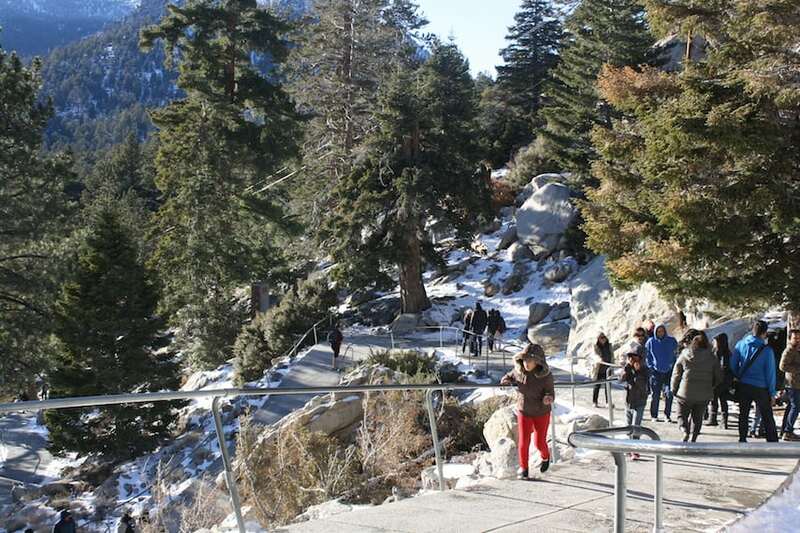 Palm Springs Aerial Tramway Parking is $8 per car. 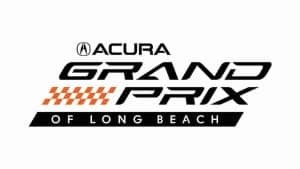 Free parking is offered for residents of the Coachella Valley from the following cities: Mecca, Thermal, Coachella, Indio, La Quinta, Indian Wells, Palm Desert, Rancho Mirage, Cathedral City, Palm Springs, Thousand Palms and Desert Hot Springs. 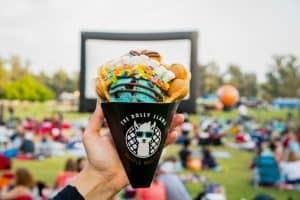 If you’re a Coachella Valley resident, make sure to bring an ID indicating so. 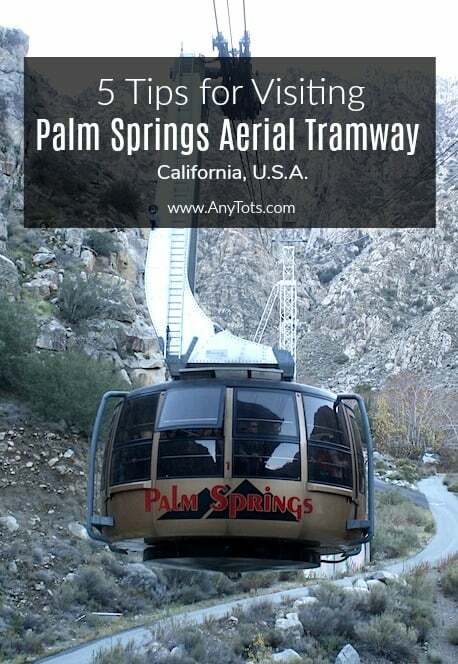 Palm Springs Aerial Tramway address: 1 Tram Way, Palm Springs, CA 92262.